Orluna Mini Recessed Tilt interior LED downlight. A powerful, fixed downlight providing a warm light. 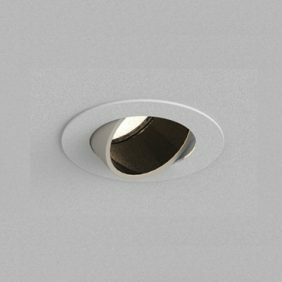 This fitting has a recessed baffle to reduce glare and can be supplied as an IP54 or IP65 version, so suitable for almost all situations. Various finish colours are available, plus a choice of recessed baffle colours. 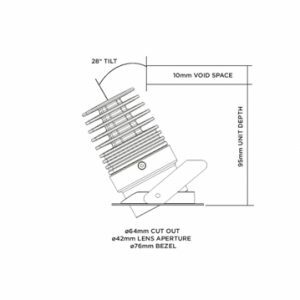 Beam angles of 20, 23 and 33 degrees are available, and light output colour temperatures of 2700k, 3000k or 4000k.